I'm pleased to announce that the release of Clidepp Requital will take place on October 1st. 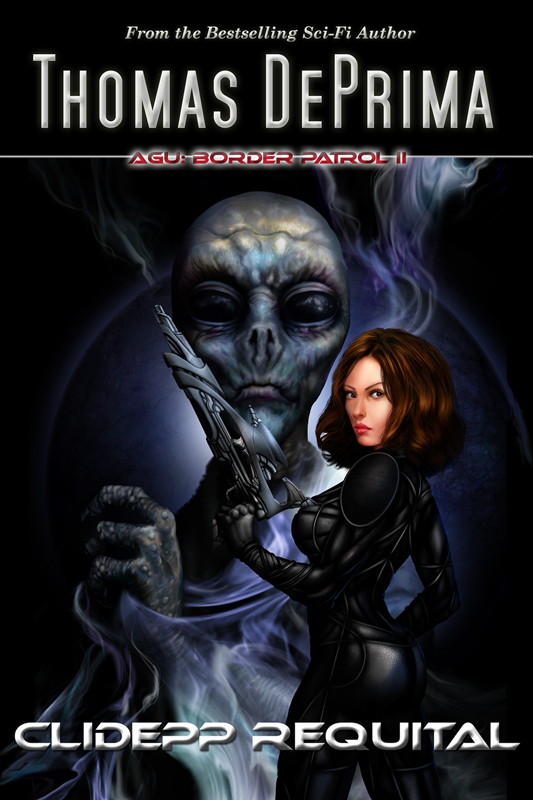 The long-awaited second book in the AGU: Border Patrol series, resumes where the first book ended. The severely damaged SC Destroyer Perry, nearly destroyed while battling the Clidepp destroyer Glassama, is awaiting the arrival of a Space Command ship-transporter vessel, which will convey it to the Mars shipyard for repairs. Meanwhile, the supreme rebel leader, known only as X to preserve his true identity, decides that Space Command's involvement in the affairs of the Clidepp Revolutionists was totally unacceptable. Conveniently ignoring the fact that his people illegally entered GA Space to perpetrate an attack on a diplomatic vessel, he believes the Spaccs had no business getting involved. He conceives a diabolical plan to exact his revenge against Space Command while using them to promote his revolutionary agenda. The new book is my third this year, having released The Star Brotherhood in January, and A World Without Secrets in June. Clidepp Requital will be available in ePub format at most major book seller sites around the world on October 1st, 2014. It will be also available in Mobi (Amazon) format through my website from that same date. As usual, ePub versions will be available for pre-order through Kobo and Apple iTunes stores worldwide just as soon as the editing and formatting processes are complete. Beginning January 1st, 2015, the book will be available through Amazon.